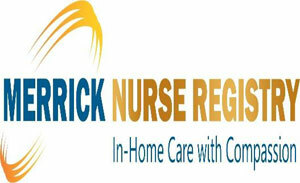 Merrick Nurse Registry, a licensed, insured, and bonded home care agency that provides "Superior Care with Compassion” for families in the cities of Palm Beach county, Florida. The Merrick team will help you or your loved one achieve the highest level of independence and safety in the comfort of your home or at any medical facility with the help of our trained, licensed, and level 2 background screened home care professionals. The families we serve have the peace of mind knowing that they are working with the most caring, qualified, and compassionate administrative and skilled nursing team dedicated to providing expert care with dignity for their loved one. To ensure continuous exceptional client care that exceeds industry standards, our Registered Nurses visit our clients on a regular basis, FREE OF CHARGE as Needed, to assure their safety, comfort, and to review care services received in accordance to the predetermined individualized care plan. Level of service that meets and exceeds the industry standards. Dependable home care services tailored to the needs of our clients. Regular management visits to ensure each client’s ongoing satisfaction. Client-to-caregiver matching services to ensure compatibility. A cost-effective solution in your home, hospital, or assisted living community. Free 5-hours care service for new clients. We offer services on a hourly and live –in basis, with a care schedule created to fit your individual needs. Our rates are affordable and competitive. We accept all major credit cards and most long-term care insurance policies.